T-Mobile is a leading Telecom company based out of Bonn, Germany, that provides cell phone services to customers across the United States and Europe. The brand is owned by Deutsche Telekom AG, a publicly traded corporation that makes tens of billions in revenue every year. In the US customers can go to their local T-Mobile store to buy a cell phone and take out a contract, or do it online at T-Mobile.com, where you can make savings by redeeming one of our T-Mobile coupons. We update our list here at Coupofy whenever new deals and offers become available. You can also use T-Mobile printable coupons if you prefer to shop in-store. Save $60 on Smartphones for US college students and US college/K-12 staff. Exclusions: Excludes devices under $240, Prepaid devices, Postpaid tablets and hotspots. T-Mobile traces its roots back to 1947 when the German government launched their national post office service and later their Telecommunication system. In the late 80s Deutsche Telekom was split off in to its own single entity and then in 1995 it was privatized. With the rise of cell phones and the internet, they became Germany's leading service provider and soon branched out in to Europe and the United States. Today Timotheus Höttges serves as CEO and Chairman of the company, while John J. Legere is President and CEO of the US branch. T-Mobile US, Inc, which is traded on the NYSE (TMUS) makes close to $30 billion in yearly revenue. 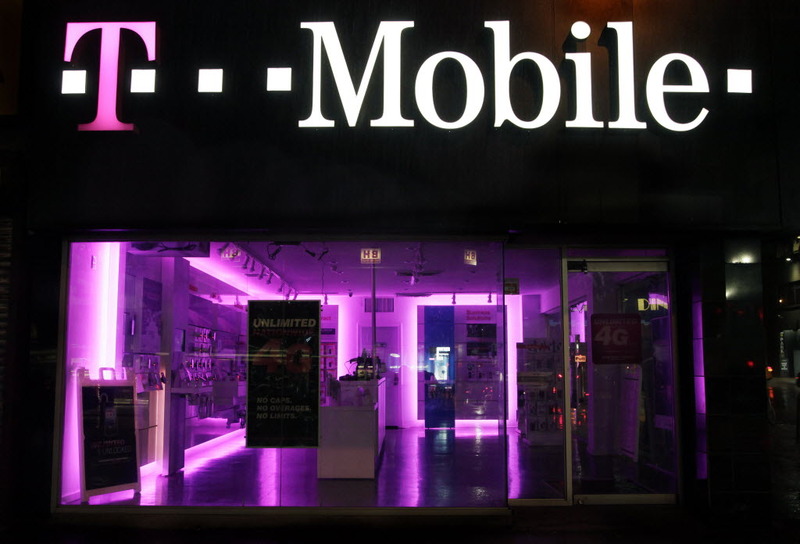 T-Mobile.com is the main online hub for US customers, allowing them to shop for cell phones, tablets and other devices, and then choose a call, text and data plan from several options. The site is very easy to use, allowing you to Shop or go straight to Plans, and you can also check the Coverage in your area. If you have an idea of what you want you can also use the search bar. Popular smart phones on sale include the Apple iPhone 6s, Samsung Galaxy Note 5, and LG Leon LTE. Popular Tablets include the Apple iPad Mini 4, Samsung Galaxy Tab S2, and Apple iPad Air 2. You can also buy devices like Smart Watches & Wearables, and Accessories like Chargers, Cases, Headphones, and more. When choosing a plan there are many options, tailored to Individuals, Families, Data only, and Prepaid plans. If you're looking for a bargain there is a dedicated Deal section, and you can make even more savings by redeeming one of our T-Mobile coupons during the checkout process. 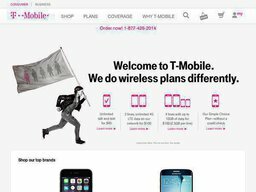 The T-Mobile prepaid coupon code can be applied to any prepaid plan. If you take out a contract with T-Mobile you will usually be required to make regular monthly payments. This can be done through your bank account or via Credit Card. You will be given an online account where you can oversee your plan and view your bills and statements. If you're on a prepaid account you can also top up the account here via card or bank transfer. When you first sign up you will be able to redeem T-Mobile coupons just before the payment step, by pasting the coupon code in to the promo box. Standard shipping (which takes up to 4 business days) is absolutely free. You can also pay extra for Overnight delivery and Saturday Delivery, the cost of which will very depending on the size of your order. Orders are dispatched the same day if placed before 5pm. You can return any unwanted device in its original brand new condition within 14 days of purchase, for a refund or exchange. In some cases you may be subjected to a $75 restocking fee. While you cannot get a refund on a plan you have used, you can cancel it at any time. There may be a termination fee if you have not met the minimum one year term. Be sure to cancel before the next billing date, else the service will continue for another cycle.